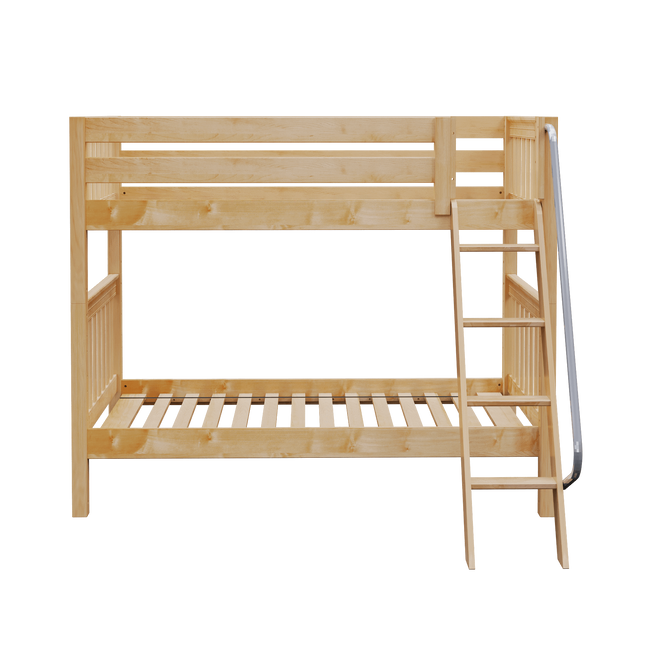 Our medium bunk bed is the Maxtrix best seller for a reason! 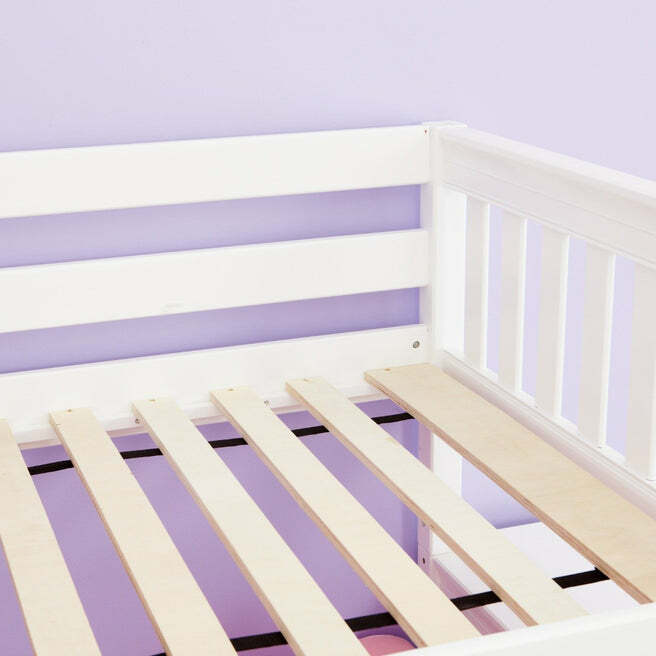 Classic stacked design is a space-saving way to sleep two comfortably. 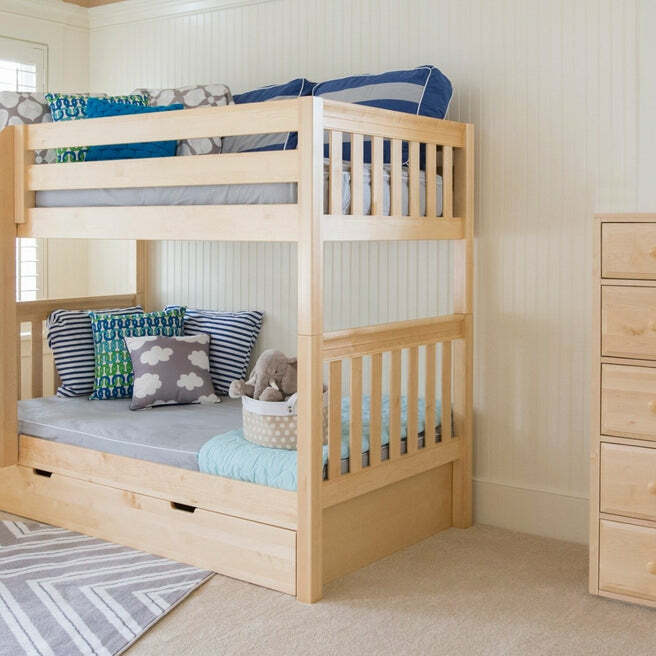 Medium height = more space between beds, but still safe enough little ones + fits average ceilings. Option for space-saving straight ladder or extra-safe angle ladder. 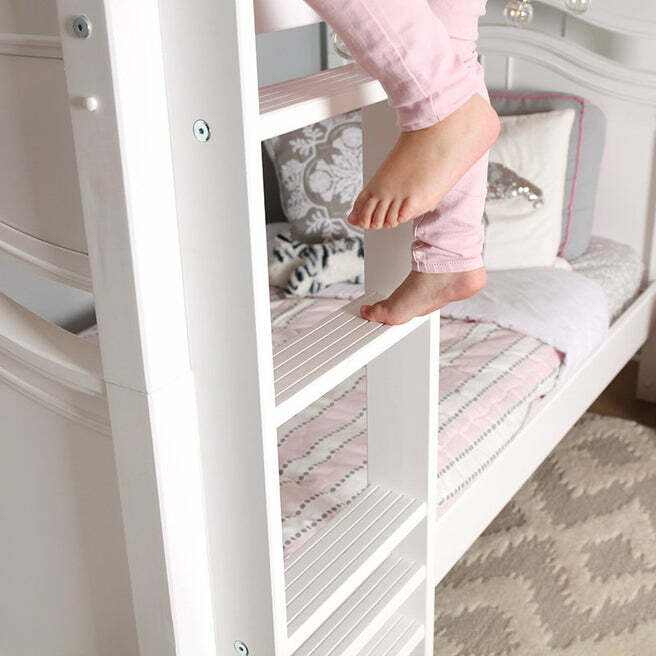 We added 5” more underbed space to our classic bunk, but made sure its still low enough to fit height average ceilings and safe for young children. 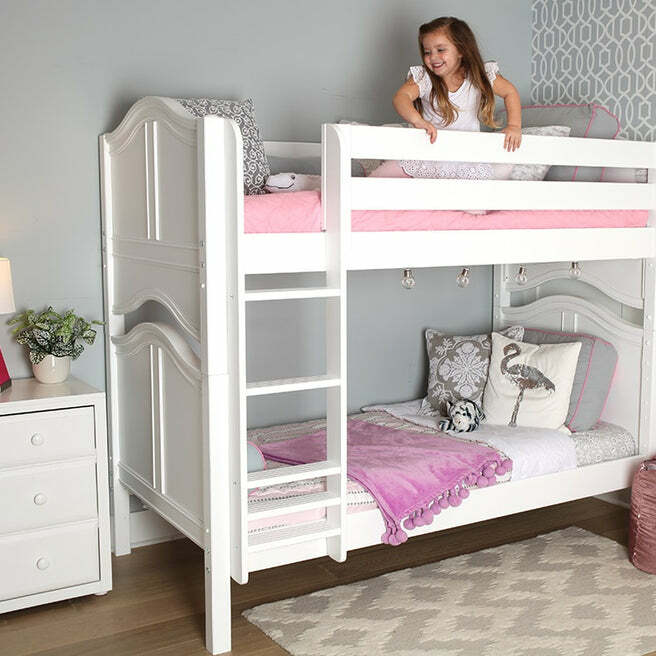 The result is Maxtrix’s best selling style – the twin Medium bunk bed with ladder! Stacked design saves valuable floor space. 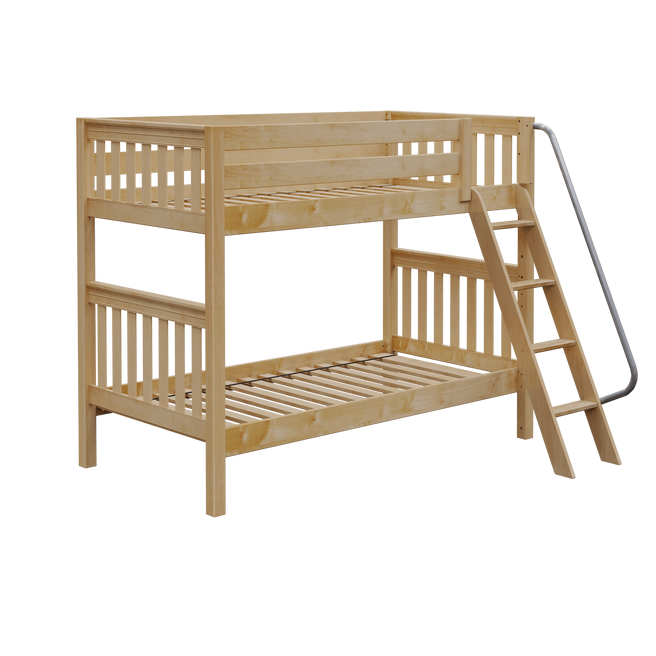 Ample headroom between top and bottom beds for growing kids and parents. 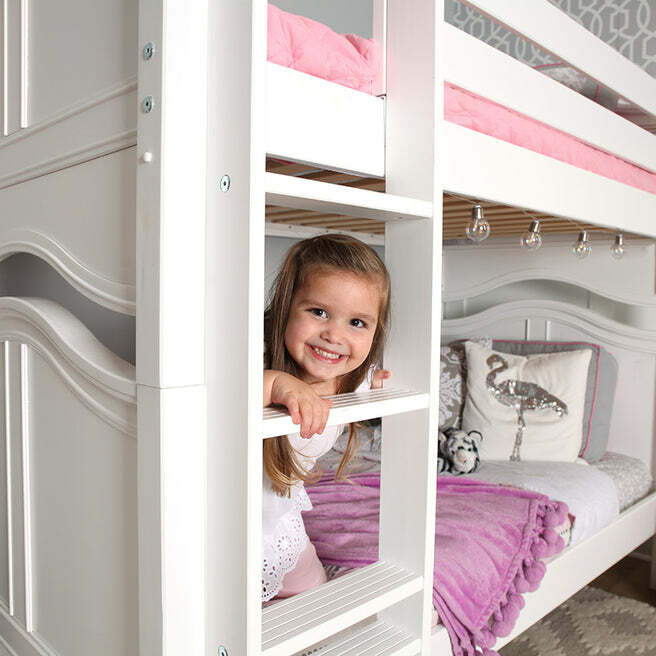 Patented Rock Lock system makes bunk beds super sturdy. 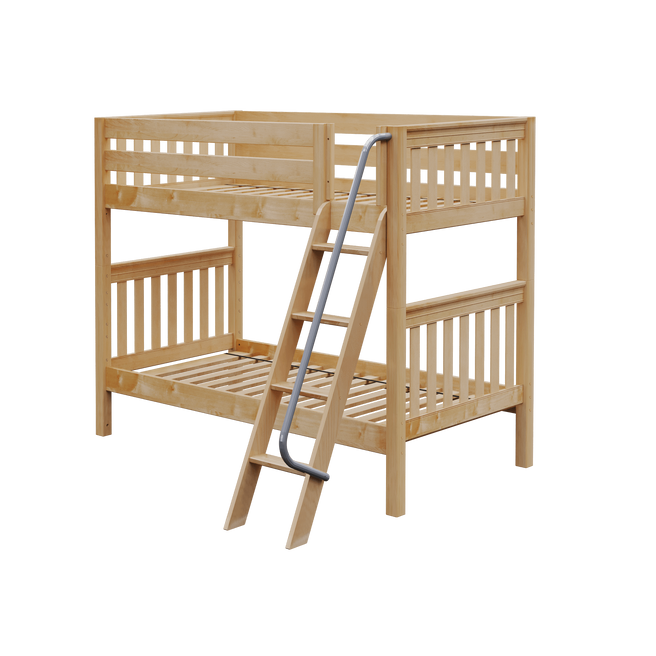 Straight Ladder Option: L: 80" x D: 46.5" x H: 66.25"
Angled Ladder Option: L: 80" x D: 74.75" x H: 66.25"